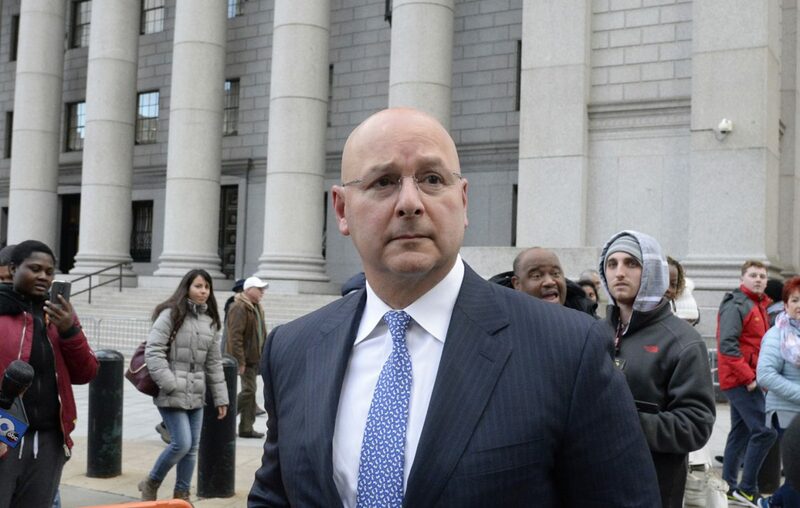 Louis Ciminelli leaves Manhattan Federal Court after being sentenced to 28 months in prison on fraud and conspiracy charges on Monday, December 3, 2018. Buffalo businessman Louis P. Ciminelli stands to lose $7.6 million in proceeds from the Buffalo Billion project that led to his fraud and conspiracy conviction. Federal prosecutors, in a court filing Friday, said the figure represents the amount of money Ciminelli made as a result of his criminal conduct at the giant RiverBend project in Buffalo. The forfeiture includes $1.6 million that would come directly from Ciminelli and another $6 million intended for his company but now held in an escrow account controlled by the state. Ciminelli’s lawyer said his client agreed to the $7.6 million figure but indicated his obligation to return the money hinges on a federal appeals court affirming either of his two convictions.